Magic is dead—and so are the gods. That’s what people believe after the night the King killed every maji he could find, killing magic along with them, and leaving the children of the maji to be known as “maggots.” Until one day, when a magic scroll is found—and Zelie becomes the one person capable of bringing magic back. Her mother was a powerful maji killed during the Raid, and she was a young girl who witnessed the whole brutal thing. Now she has a chance—one chance only—to bring back what was believed lost forever. But to do it, she will need the help of her brother, the King’s daughter, and the gods themselves. And even that might not be enough. 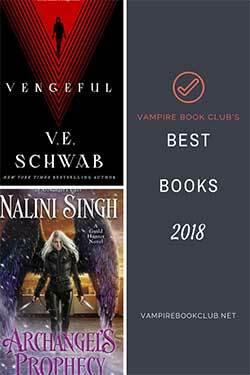 This story has a ton of hype—and I usually try to avoid those books, as I tend to find that they rarely ever live up to it. This book, however, is worth the current hype and more. It is stunning in its honesty, and honest in its brutality. 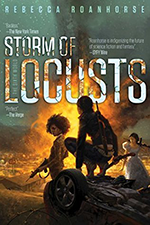 It does have fantasy elements to it, and yet so much of the book was less about those elements, and more about the people—the families torn apart, the “maggots” forever scorned as lesser-than, the king who would do anything to prevent maji from having their power returned. It is a dark story, one that brings to mind the days of apartheid—and sadly, even current days when Black Lives Matter is still something that needs to be said. And yet, the story could also be about any people who are marginalized and brutalized out of fear. In its own way, this is a timeless tale, and one that we humans may never get right. The characters are human. By that, I mean that they are neither all good nor all bad. Their actions, while abhorrent in some cases, are not driven only by “evil.” Instead, they are motivated by life experiences, both good and bad, and their choices often reflect the message they took from those experiences. I cannot think of a single character who felt half-drawn or incomplete. Each was fully fleshed and felt alive in a way that so many characters in so many books simply do not. The setting was Africa, and it was described so lushly as to leave the vivid images lingering in my head long after I closed the book. I’ve always thought Africa would be a beautiful place to visit, but this made the surroundings feel familiar in a way they could not possibly be, like returning to an ancestral home that you’ve never seen but always felt in your bones. The lush descriptions of the land—from the forests, to the deserts, to the waters—were almost as much a character as those who walked and talked within the story. 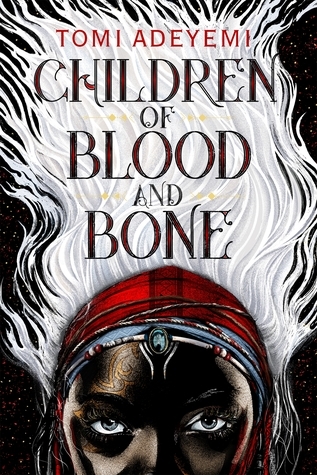 Children of Blood and Bone is a fairly large book. I read it in one day. I simply could not put it down. It drew me in and refused to let me go. The mix of pleasure and pain told in such a powerful way—like being punished for breaking a rule, but then getting a forgiving hug from mom—simply kept me glued to the story. I will say that there is a fairly abrupt ending. It is both appropriate and absolutely unexpected. It will probably leave you flipping back a few pages to read that part again, just to see if there is something—anything—you missed to clue you in to what you just read. While I have made clear I do NOT like cliffhanger endings, this time, for this book and this amazing story, I felt like it was right. A story this beautiful and this strong must end at some point, and what better way than to echo the abrupt changes of Zelie’s life, and that of all the maji? Great Review! I, too, find when books are buzzed about a lot they typically don’t live up to the expectations I perceive in my mind. I’m glad to hear this one lived up to all the hype. I’ll be checking this one out for sure now. Awesome review! I’m been watching and waiting in regards to this book… Your review just put it in the must read list. Thank you!